Surf Snowdonia, the world’s first publicly accessible Wavegarden® surfing lagoon, has announced the appointment of Jo Dennison as head coach at its surf academy. The inland surf facility, which is widely anticipated to be a game-changer for the global surf scene, opens in the Conwy Valley, North Wales, in July 2015. Jo is a three-times Welsh Champion and former British Champion, and has twice surfed as part of the British team at the ISA World Surfing Games. She has taken part in the ASP World Qualifying Series since 2011 and has been a Billabong team rider since 2009. 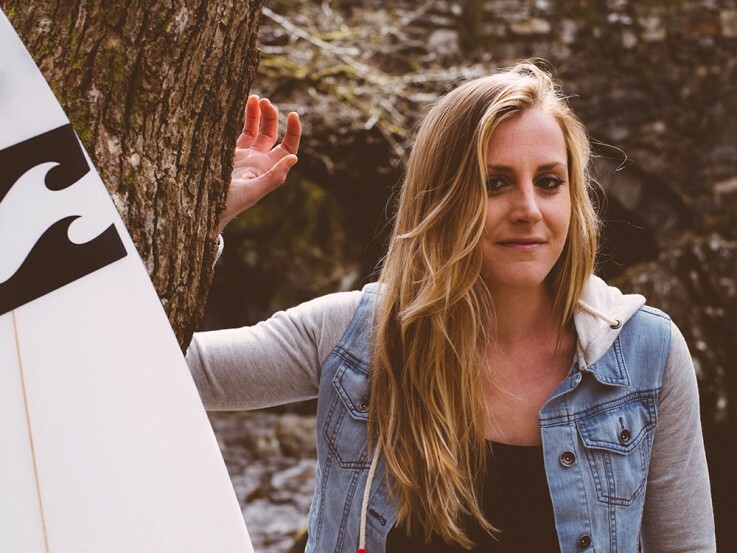 The 29-year old from Pembrokeshire has extensive coaching experience, from instructing the British Junior Team at the 2012 ISA World Surfing Games in Panama, to teaching absolute beginners at afterschool clubs in Wales. Her decade-long coaching experience includes extensive work in Europe and North Africa, as well as in Australia, where she worked on the highly-regarded Surf Grom junior development programme. She is a qualified ISA Level 2 surf instructor. Steve Davies, managing director of Conwy Adventure Leisure Ltd, the company who is building Surf Snowdonia, said: “Jo is a tremendous asset to the Surf Snowdonia team and we’re delighted that she will be leading our surf academy as head coach. As well as surfing lessons, Surf Snowdonia’s surf academy will offer classes in bodyboarding, stand-up paddleboarding (SUP), kayaking, surf yoga, surf fitness and open water swimming. The facility will also play host to international events, competitions and surf demos, giving the public access to the world’s top surfers. Jo will lead a team of 15 instructors at the academy, and her first task will be building her team in the months ahead of opening. She said: “I’m absolutely over the moon to be on board with Surf Snowdonia, and very excited about the potential of this world-first facility. “It probably goes without saying that I am absolutely passionate about surfing and that it’s been a major, and hugely enjoyable part of my life so far. I was lucky enough to grow up close to the coast in Pembrokeshire and water sports have always been a big part of my life. “What excites me most about Surf Snowdonia is the fact that it will make the sport of surfing so much more accessible. For the first time in history surfing won’t be restricted by proximity to a suitable coast or the lack of a swell. That means more people can get out there and enjoy the wonderful exhilaration of riding a wave. The one-of-a-kind surf lagoon will use revolutionary technology to generate consistent and perfectly formed barrelling waves at the push of a button. The waves will be variously 2m, 1.2m and 70cm high, and will peel for up to 150 metres. They will be generated at a rate of one every minute. Up to 52 surfers will be able to use the 300m lagoon simultaneously. The development of the £12 million Surf Snowdonia surf lagoon is being keenly watched around the globe. A prototype facility in Spain has received rapturous approval from surf pros, including World Champions and Rip Curl ambassadors Mick Fanning and Gabriel Medina.